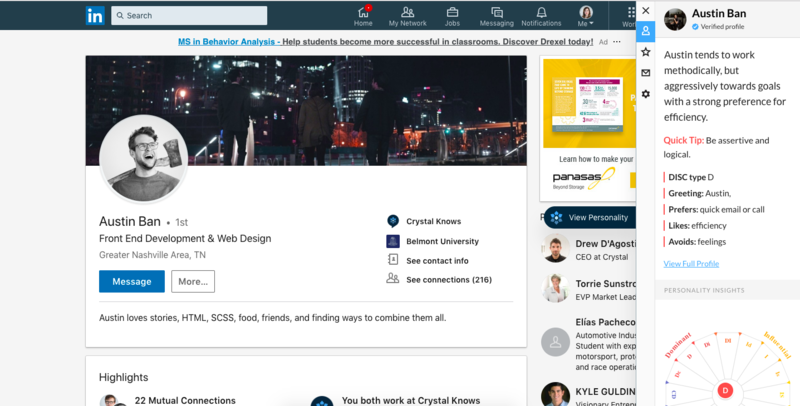 How Do I Use Crystal in LinkedIn? 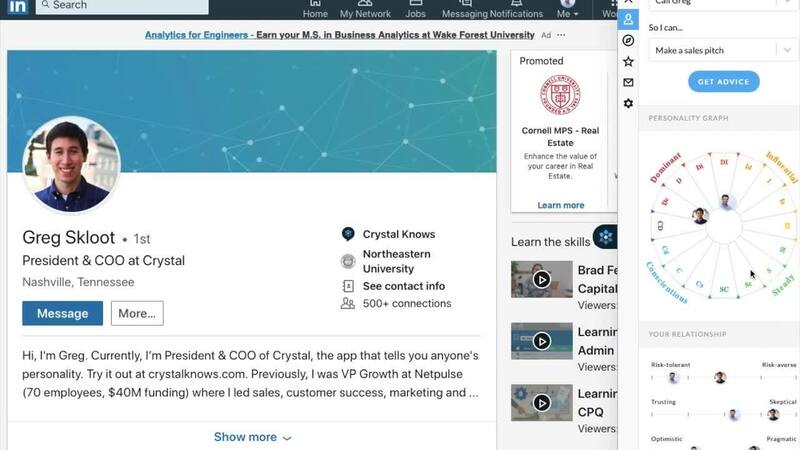 Create predicated profiles by using Crystal's Chrome Extension on LinkedIn Profiles. To do this you'll use the Chrome Extension. If you haven't downloaded the Chrome Extension yet, check out this article here to find out how. Select the Crystal Icon on the right side of the page that says "View Personality." Below is a video on how to predict someone's personality from LinkedIn and an overview of the information a prediction can give you.